Dream Big and Treat your Home to a Californian Makeover! Where do you take inspiration from when it comes to your home decor? Do you look at magazines? Maybe you go window shopping on the high street or the internet? Or perhaps you look at blogs and places like Pinterest to collate your ideas and inspirations. Like me, maybe you create your own home look from a combination of them all, as well as looking at real homes and real places. I think one of the best ways you can gather inspiration for your home interiors is from your day-to-day surroundings. Drawing on the environment, culture and society to create an interior design can be powerful, individual and very personal. And I’m sure lots you of you do it without even realising. If you’re not sure how this can work, here are some examples of what I mean. Ok, so firstly you need to be inspired by a place or area. Perhaps a significant event strikes a chord with your creative side, and you want to be reminded on a daily basis of this wonderful time. For me that would be our honeymoon just over a decade ago in California. Wow, what a few weeks we experienced, creating stunning memories that have remained with me constantly over the years. We visited the amazing Yosemite National Park, and experienced nature at its finest. We took picture after picture (not digital I hasten to add) of the wonderful surroundings, waterfalls, ancient high sequoias, valleys, meadows and wilderness. We drove the Highway along the coast and saw immense wind farms, towns such as Clint Eastwood’s Carmel, all the way up to Monterey and its wonderful Monterey Bay Aquarium. We visited San Francisco twice so we could take in the incredible Gay Parade, and the truly stunning Fourth of July celebrations. We shopped, we ate (boy did we eat! ), rode trams, and saw California Sea Lions, but really only experienced a fraction of this incredible state. There’s lots of inspiration there, but in the time we had we really didn’t do the whole state justice. What else would I discover if money and time were unlimited, to help me create my Californian inspired interior decor? So, if the sky was the limit, what would I do in California to bring me the perfect inspiration for my interior decor and home style. Oh, the choices are incredible, and even though we have the children to consider now, there are still an amazing array of family friendly ideas. I would definitely revisit Yosemite; we really didn’t do it justice last time. I want to go on an Ansell Adams trail and discover all of the places he photographed. 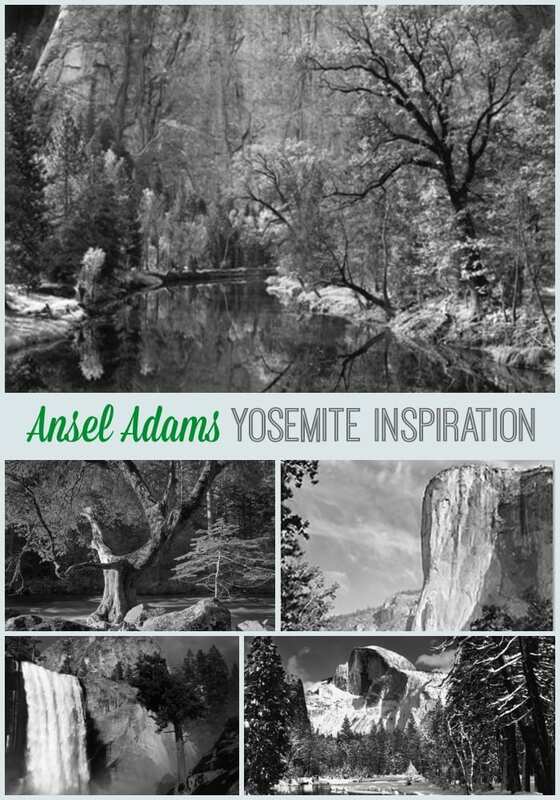 If you don’t know, Ansell Adams is a renowned photographer who spent much of his career photographing the stunning scenery in Yosemite, usually in black and white. We have a copy of the ‘Cathedral Spires and Rocks’ print and it sits on our den wall alongside other modern prints. It has sentimental significance too, as it belonged to my departed mother-in-law. I love the idea of taking the girls on one of these trails, ending in Yosemite. 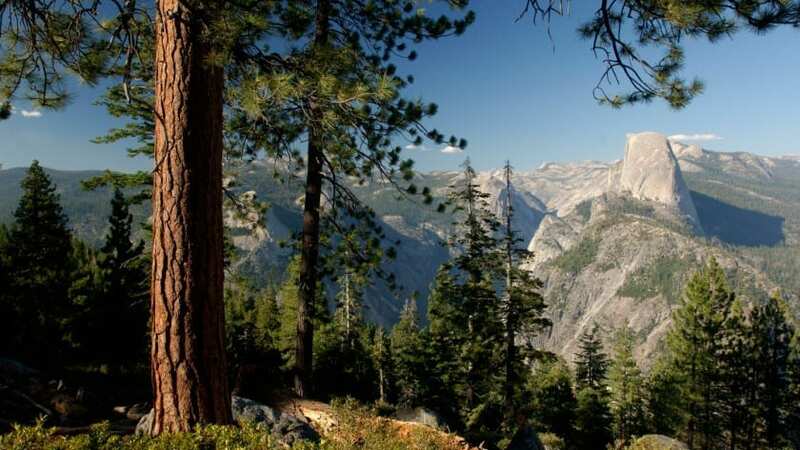 We would get to experience a Hyde Street Cable car, the Jelly Belly factory tour, museums, Hilmar Cheese Company and wonder at some of the world’s largest, oldest trees in Mariposa Grove. What an experience, and what incredible inspiration. Yosemite gives us beautiful scenery, colours and light; all important elements to incorporate into any interior decor, but the rest of California is pretty inspirational too! From Hollywood to San Francisco to Napa Valley and the wild Northern Coast, you can’t help but be drawn into the colours, vibrancy and warmth of the Golden State. Visiting these places, if money were no object, would offer such incredible inspiration for any home decor. When I look at these Californian images, I see colour, light, vastness, vibrancy, excitement, and diversity. All amazing elements that can be the basis of your home decor, Californian style. But how would you do that, and what would it look like? Well, here are some ideas based upon California Home and Design’s Showhouse in Hollywood taken from an Apartment Therapy House Tour. A huge property, with each room designed by a different interior designer. 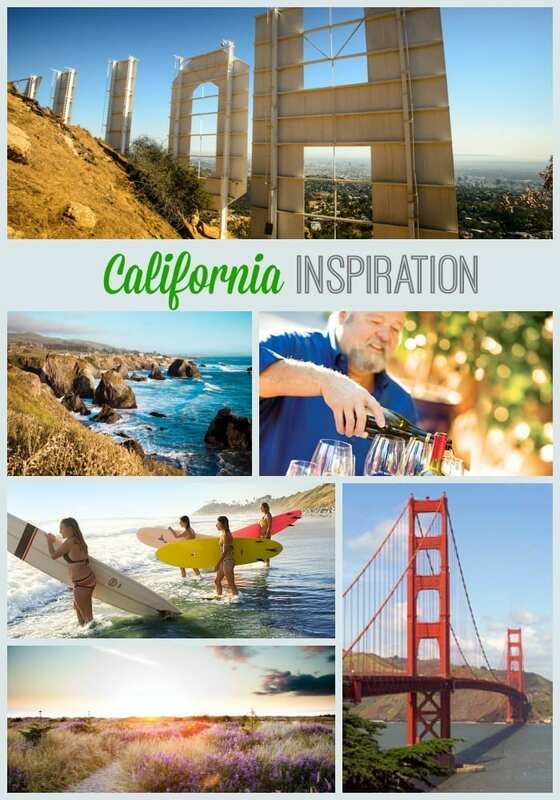 For me, these images capture the essence of California and encapsulate it into decor. What do you think? 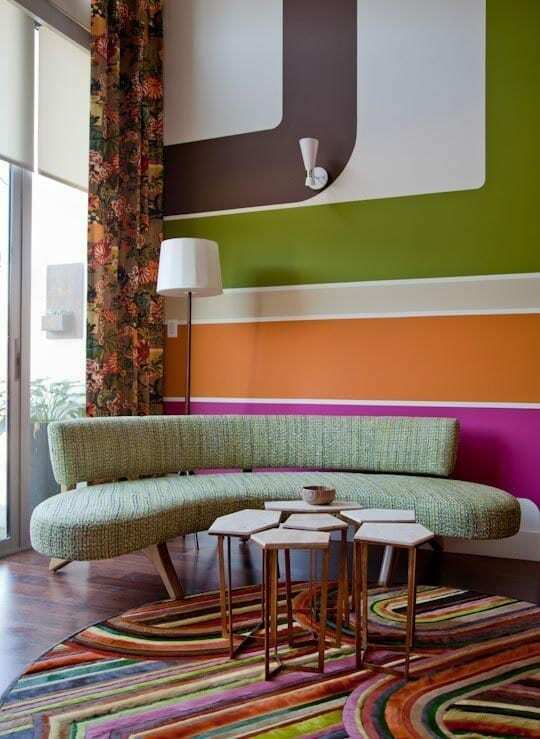 I love the contemporary styling, the eclectic collections, the bright colours, and the rich hues. This kind of styling isn’t for the faint hearted, you need to think big and be brave with your choices. But the end results are s0 worth it. Much like your experiences of California. So that’s my Big Dream. To tour California, taking in some of the most amazing sites, incredible scenery, and exhilirating experiences it has to offer. Let’s not forget Legoland, Disneyland and Whale Watching!! And don’t forget, when you’re styling your home, Dream Big too. Think more creatively than you ever have before, bring new elements into your plan, and push your boundaries. Remember, if it doesn’t work you can always paint over it and start again! This is my entry into the Visit California Bloggers’ Competition. Oh I love the idea of using places as inspiration in the home as you know! The den is Moroccan and the Living room has gone quite Greek. I love the bright colours, i think my home could do with more of that energy! i love the Adams photos too, great idea. I love that mix of styles Penny, very colourful! It was stunning Antonia, sounds like you’ve had great adventures too though. I love the bold colours! They’re really inspiring aren’t they Miriam! You must go Helen, it’s life changing! Aah thanks Annie, hope you blog your extension! This is a much better way of taking home souvenirs from your holidays – take inspiration instead, especially when there’s no space in the luggage. We seem to be influenced by Scandinavia at the moment: brings those happy memories back home. Such a good point Trish, a lovely way to look at it! you know i never thought about home decor like that. I choose simple and child proof at the moment but the colours above are just beautiful! Ooh I love that last photo especially. Thanks Jane, the colours are great inspiration aren’t they. It’s on my list of places to see too! Oh you must go Amanda! I just love the California style. Cool post. Ooooh, I love California! What a great place to use for home inspiration! what a great idea for decorating! I’d love to visit California, my big brother lives in Pasadena! It’s been lovely to spend time thinking about our honeymoon Jenny, seems so long ago! You can really see the inspiration behind the finished look. All looks wonderful and so colourful which I love. I take my inspiration from anywhere – I am terrible. Though alas, I still have not updated my home! What I would love to do to my house, I unfortunately cannot as with a 5 year old and a dog who liked to jump on my sofa… my dream of a new sofa is far away! I do love the colour duck egg blue… such a stunning, simple colour! LOL, I love that idea Carolin!! 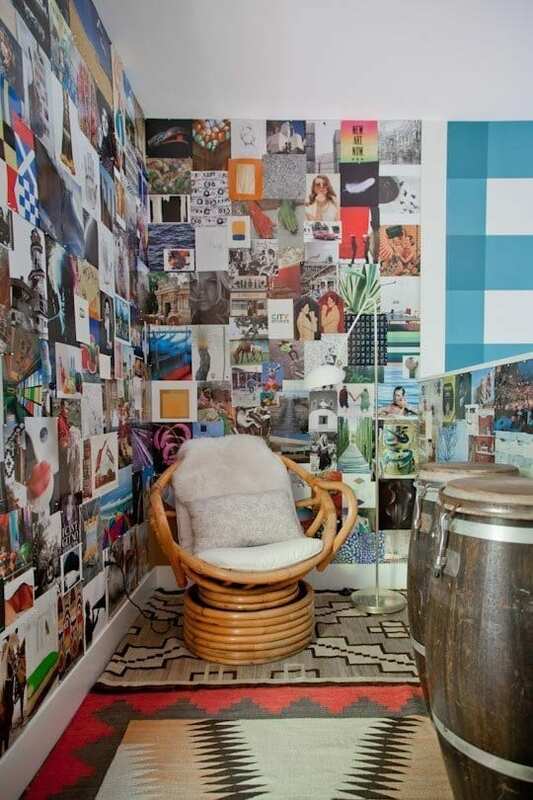 What great inspiration photos – I love the one with the collaged walls and the aztec rug; so quirky and eclectic! I think there’s a little bit of something for everyone isn’t there? A bit like California!! What a great idea. I tend to get my inspiration from Ikea if I am honest. Now I am going to make more of an effort to take a look around. 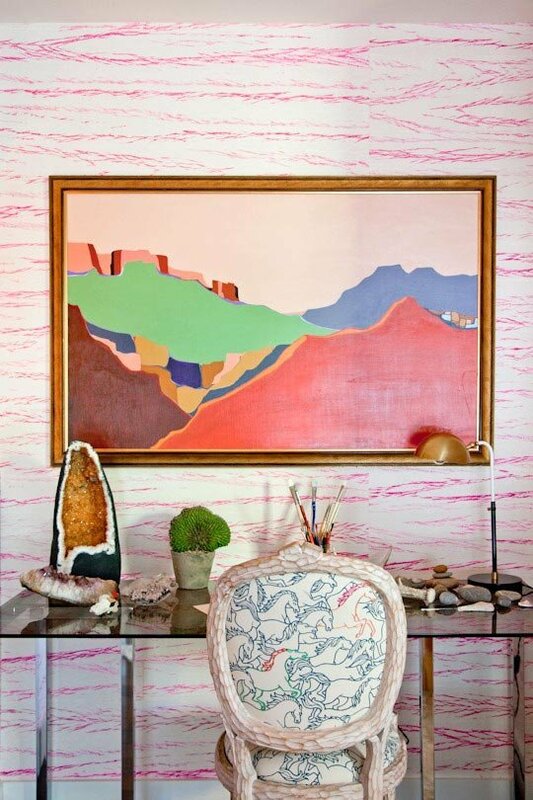 I love the bold colours and stripes of the Californian inspired rooms. I have been lucky to have visited California a few times with and without children. It is the most amazing state. It has so many different experiences available to you. On one day we woke in Yosemite (in a tent) having been stranded there for a few days due to flooding and then drove to Kernville. The tent dried in seconds, it was so hot. The enormity of the area and the quiet roads are a breath of fresh air. On our last trip we went to Sequioa national park. We stayed over night in the park which allowed us to set off early and capture the early morning sun streaming through the trees near General Grant. What I love most in our house is light. My favourite room is the dining room. It has east and south facing windows so we get the sun until the late afternoon. My house has been mainly influenced by the coast/ sea. Having been brought up on the Isle of Wight it is unsurprising! I’m looking forward to what will inspire me in our next house. Oh my goodness we went to Yosemite too in 2006 and it was amazing. I loved California, the colours, the variety and the wine of course! I’d love to visit Yosemite! My parents went some years ago and their pictures are amazing. I love the very special light you get in the wilderness and mountains, nothing else quite like it! wow, wonderful post and what a wonderful place it must be to visit. Must try and think past Florida if we ever get the opportunity to go to America again. Oh wow I can completely see why it inspired you. Fingers crosses for you. If you get to go again just think of the treasures you could come back with for your home! Oh I love this…thank you so m ugh form the inspiration, we visited California 2 years ago & instantly fell in love with the place. I will definitely be inspired to bring some of those memories into our new home we are currently renovating…..
Wow, fantastic inspirational pictures. The light, bright colours and space fantastic. Bringing the outside in….fabulous. I once worked in LA and travelled around California a bit. Have never fogotten Laguna Bay and still have prints of whales and dolphins that completely dictate the theme of a room! I would love to go back and congratulate you on this post. It’s wonderful to be so inspired! Sounds wonderful Anya, you’re already doing it! We do a lot of home exchanges so I get some great decorating ideas form staying in other peoples’ homes. It’s natural to want to take something back with you to remind you of an awesome adventure. Pity you can’t bring the weather: when we were in Arizona two years ago it was baking hot. I could do with some of that today. i have lived for 6 months in California and I must say it is the best place on EARTH!! !